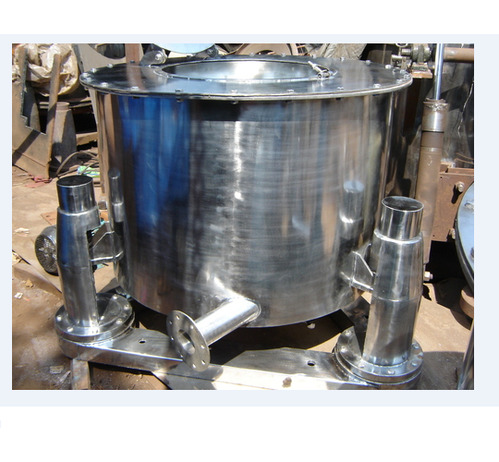 Excel plants offers Centrifuge in basket sizes of 12",24",36",48",60" in various steels like SS316, SS304, MSRL & Harller coating with GMP finish etc. with precision machining as per your specification & prompt delivery schedule. Top Discharge Type Centrifuge is a single point suspension that is extensively used for the solid-liquid division by filtration. The machine works with quick loading and unloading and possess a hassle-free functional life. Featuring bottom driven top discharge provision, the presence of precision manufactured external body support along with interlock safety cover makes this centrifuge highly preferred. Economic and easy for operation. Suitable for sticky and hard lump products. 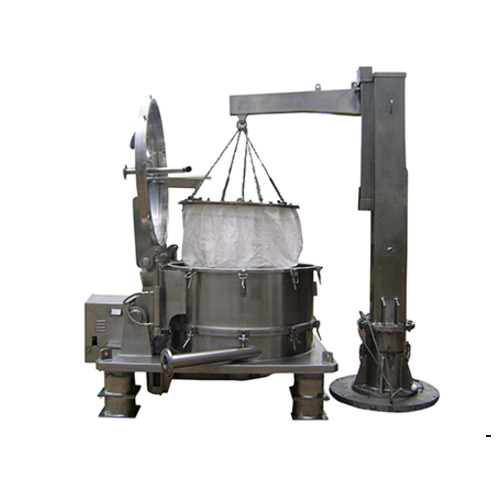 Bag Lifting Type Centrifuge is the heavy duty centrifuges with fast acceleration and smooth running. The bottom opening of the filter bag allows the drainage of solids so as to make the discharge of solids simple and swift. It involves least manual labor and facilitates for effortless loading and unloading along with superior production capacity per batch. Four Point Suspended Centrifuge Machines are the completely automatic machine designed with four point suspension bottom. The machine is backed with support of inertia platform and vibration isolating dampers that ensures smooth functioning. These machines are suitable for flexibly relocating the centrifuge within the plant. The machine is available with three kinds of scraping system provisions comprising of motorized single motion scraping system, manually operated scraper, and hydraulic dual motion scraping system. No cost of R.C.C foundation. Our horizontal peeler is a batch type automatic/semi automatic filtering centrifuge. The axis of rotation of the basket in this centrifuge is horizontal. It is ideally suited for a clean room installation  "through the wall" using a flexible membrane as required in pharmaceutical applications. 630, 800, 1000, 1250, 1400mm dia, others on request. We are engaged in offering industrial evaporators that are used for concentrating dilute liquids, for increasing solids content & for reducing volume by evaporating water. 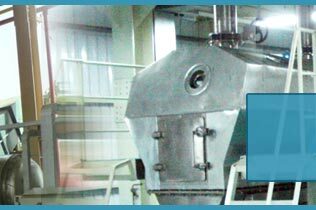 Evaporator are selected on the various properties of feed & product such as crystallization, foaming, corrosion, salting & scaling. The range of evaporators we offer are designed and developed by experts and meet international quality standards. These evaporators are highly durable and reliable. Our clients can avail these evaporators from us at industry's leading prices. 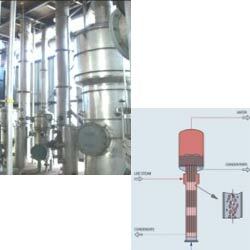 Falling Film Evaporators are products that help in the processing of the liquors. The liquor is a product which is highly sensitive and they are non-crystalline with a rate of specific level of transfer of heat. In these evaporators, the vapor and also the liquid are allowed to flow down in a parallel manner and they are made to evaporate partly at an extremely high temperature. These products are available at very reasonable market prices. With low operating costs, these products are highly appreciated for their continuous and flawless operations. We offer these evaporators in compact designs to the clients and these are ideal for heat sensitive items. Our Falling Film Evaporators are available with automatic controls and CIP cleaning to our clients. These evaporators provide gentle product heating and available in a variety of sizes, stages and capacities. Available with thermal vapor recompress, our evaporators are designs with low steam consumption. It is easy to operate and use these products and these have less hold up of materials in the plants. In addition, our products are designed using superb quality raw materials and are used in diverse industries. 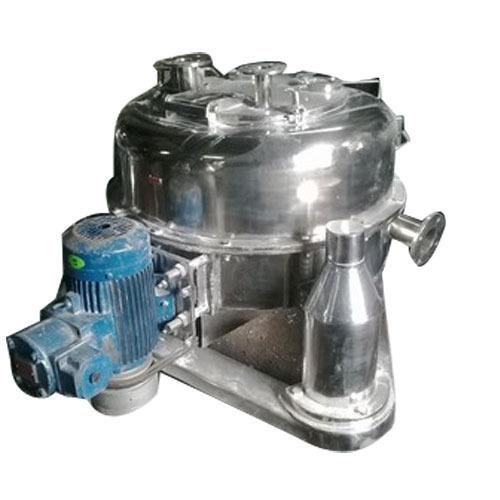 The liquor is a product which is highly viscous in nature and it requires a lot of processing and hence the Rising Film Evaporators are used for this very purpose. The liquor has the capability to foul the heating surface and they are heated in the evaporators till steam begins to form and the vapor starts to flow in a parallel way. These instruments are made using a high quality of raw materials and they give a very accurate and high level of performance. 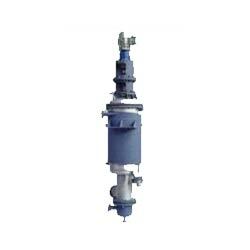 These evaporators are highly used in the various kinds of industries. Our products are highly suitable for the liquid with fouling tendency or high viscosity. These products are available with steam heated tubes that allow the liquid to enter. 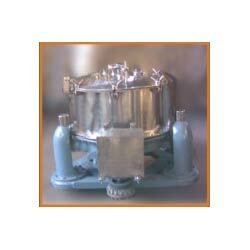 Our evaporators are delivered within given time period for processing of liquors. 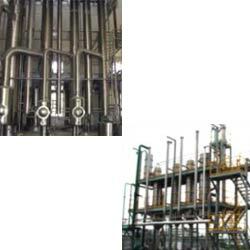 These products are widely known as vertical tube along with steam condensing and are used in different industries including Pharmaceutical, Agrochemical, Food & Dairy and Herbal extracts. These are also used for foaming applications and are thermally efficient in nature. Thus, we offer our products as per the clients bulk requirements and demands and these are easily available in the market. With the help of our trained professionals, we manufacture and supply a qualitative range of Forced Circulation Evaporators, which are available as per the clients desired demands. These evaporators are widely utilized for processing liquors, crystallizing duties, thermally degradable materials concentration and inversely soluble materials concentration. Our products are manufactured using advanced technology and modern machines. Our products are designed with large re-circulating pumps as well as wide bore circulating pipe work. 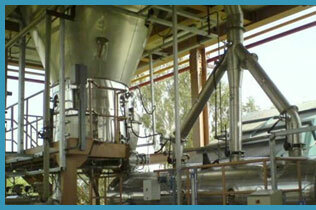 We offer these film evaporators at reasonable prices to our respected clients. These products are used in concentrating thermally degradable materials and are manufactured using finest quality raw materials and latest machines. We offer these products for various industries including chemical industry, textile industries, tannery plants, pharmaceutical industry and other allied industries. These products are also known to provide easy way to allow the heat transfer functions and we offer these products in compact designs to the clients. Our products are available with Solvent recovery as well as high energy efficiency in the market and we offer these products with high capacity. We offer these products along with crystallization option and these are easily available in the national as well as international market. 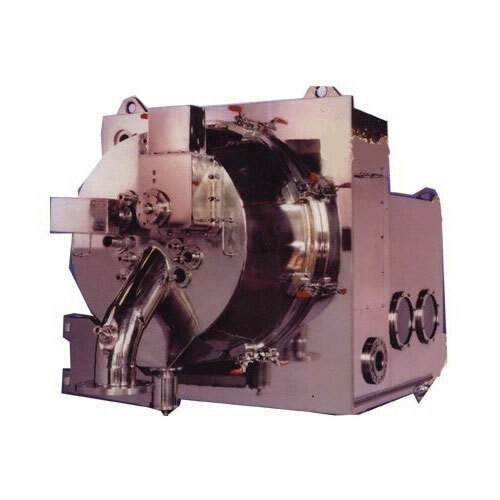 We are a renowned manufacturer and supplier of Agitated thin Film Evaporators, which are available with different boiling points in order to separate the liquids mixture. 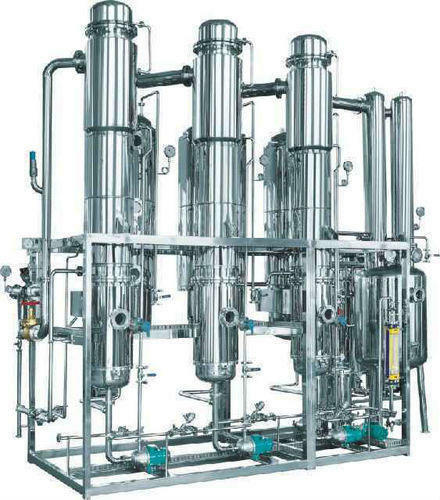 These products are also used for enhancing the concentration of liquids and we offer these evaporators at most competitive prices to the clients. Moreover, these products are also used for the recovery of different products and are designed with perfection. These evaporators avoid the possible degradation as well as re-circulation of products. We design these products using latest machines and tools and our products are available at client friendly prices in the market. Our evaporators are highly suitable for the viscous products and hazardous applications. These Agitated thin Film Evaporators are highly acclaimed for their good turn down capability and available in diverse operating temperature ranges. 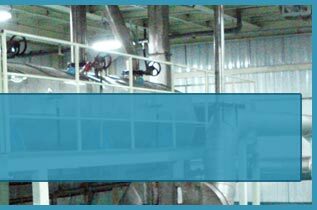 Our film evaporators are featured with narrow spread for the heat sensitive products. These Agitated thin Film Evaporators consist of blades in different configuration and we offer them as per the industrial standards to our respected clients. We offer them with very short residence time in the market and these are easily available with advanced mechanism to the clients.